FOR MALE PATTERN BALDNESS IN MEN, THERE ARE MANY HAIR LOSS TREATMENTS THAT CAN HELP MEN COPE WITH THE EFFECTS. The issue of hair loss in men has always existed. Never before have we realized how common it is, and what simple changes can be made to cope with the effects. It is often misconstrued that men accept their hair loss, and are not emotionally or mentally affected. In truth, most men are bothered by the loss of their hair, no matter if it is minimal or extreme, and many would do anything to reverse the effects. Male pattern baldness is the most common cause for hair loss in men and accounts for over 95% of the cases of male hair loss. According to Web MD, two in three American men will have some degree of appreciable hair loss by age 35. And over 75% of American men have significantly thinning hair by the age of 50. Clearly, the problem is more common than we realize. 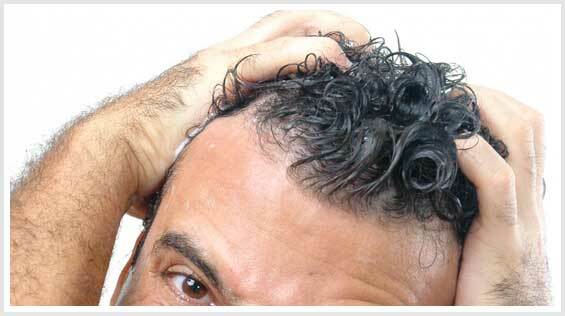 Often, men see their hair thinning gradually but are unsure if the cause is any reason for concern. Male pattern baldness is a form of androgenetic alopecia, which means it is formed genetically and/or through male hormones. Typically, if a male loses his hair as a result of male pattern baldness, he was genetically predisposed to the condition, or hormonally disposed. In every person, hair is formed within a follicle, a tiny hole in the skin. When a male loses their hair it generally means the hair follicle is shrinking, and eventually the follicle will not grow a new hair. 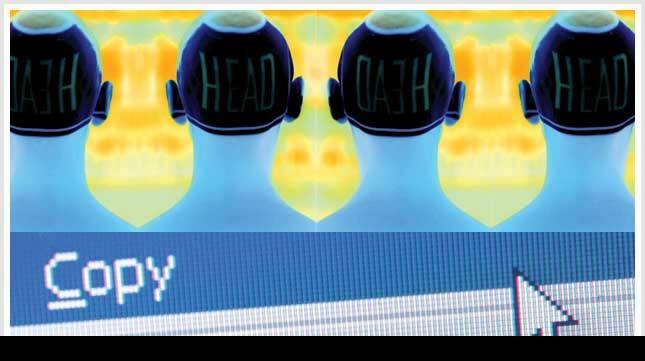 How do I know it is male pattern baldness, and not something else? Typically a case of male pattern baldness begins with thinning or receding hairline, meaning the hairline moves backward. This may be the total hairline, or solely the hairline above the temples. 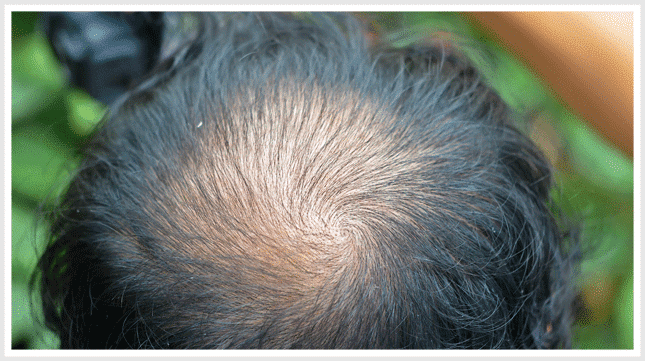 If you notice patchy baldness, this is usually a sign of alopecia areata. If you or your son is less than the age of 21, and you have noticed total baldness, consult your physician to discuss alopecia universalis.